Bore Size mm - Thickness (inches): 84mm - 0.070" 84mm - 0.080" 84mm - 0.120" 84mm - 0.140" 85mm - 0.050" 85mm - 0.060" 85mm - 0.070" 85mm - 0.080" 85mm - 0.089" 85mm - 0.098" 85mm - 0.120" 85mm - 0.140" 86mm - 0.060" 86mm - 0.070" 86mm - 0.080" 86mm - 0.120" 86mm - 0.140" 87mm - 0.060" 87mm - 0.070" 87mm - 0.080" 87mm - 0.089" 87mm - 0.120" 87mm - 0.140"
Our VAC Multi Layered Steel Head Gasket is made to accommodate up to a 87mm bore and is designed to withstand much, much higher combustion pressures than the factory head gasket- and other conventional or modified head gaskets. Made from a minimum of 5 layers of which the outer layers are coated with a patented type of material to ensure proper sealing of fluids, each S50 / S52 MLS gasket offers exceptional resistance to "blowing out" when subjected to the rigors of the track, or high performance driving. When used along with high grade 'non stretch' hardware like ARP, these gaskets fix the common problem of head gasket failure on forced induction (Supercharged and turbocharged) BMW engines. 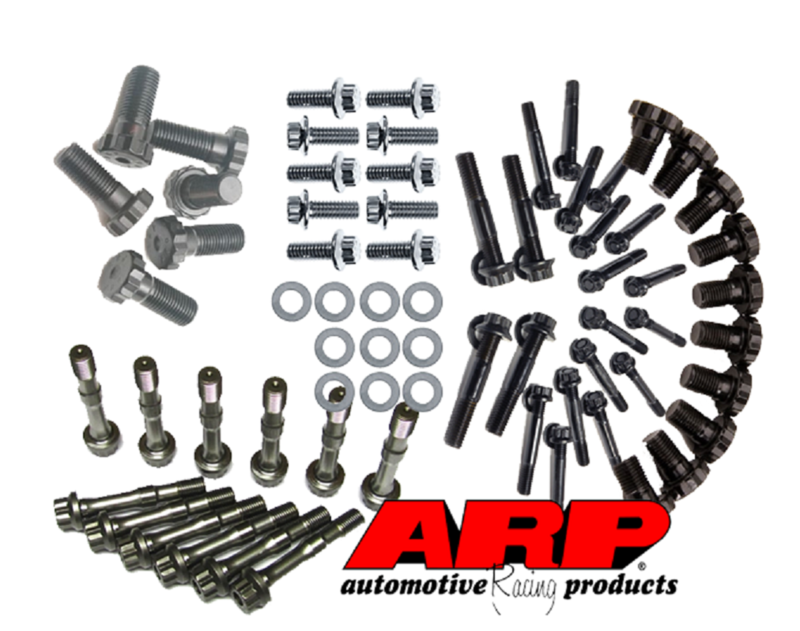 These are hands down the worlds most popular head gasket for this use, and we have tested these up to 600 WHP with standard replacement ARP hardware, and up to 1000 HP along with custom ARP studs (please contact us for these). Rumors that MLS gaskets have sealing issues are simply non-truths: we use these same gaskets on every single VAC engine. Our secret for success? Simply follow the directions that come with your gasket; that includes resurfacing your cylinder head upon installation and be rewarded with exceptional results! In the past few years, the aftermarket and even many new BMW engines are all moving to MLS gaskets. That also means no damaging cutting ring gaskets are needed. Made from a minimum of 5 layers of which the outer layers are coated with a patented type of material to ensure proper sealing of fluids, each S50 / S52 MLS gasket offers exceptional resistance to "blowing out" when subjected to the rigors of the track, or high performance driving. When used along with high grade 'non stretch' hardware like ARP, these gaskets fix the common problem of head gasket failure on forced induction (Supercharged and turbocharged) BMW engines. 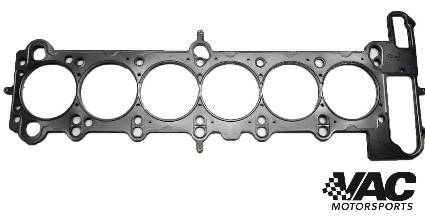 These are hands down the worlds most popular head gasket for this use, and we have tested these up to 600 WHP with standard replacement ARP hardware, and up to 1000 HP along with custom ARP studs (please contact us for these). From Anonymous of Niagara Falls, Ontario on 9/2/2015 . From jose luis salazar of Everett, Washington on 5/26/2015 . From Carlos Segovia of Houston, Texas on 11/25/2014 . From max lebherz of San Jose, California on 7/5/2013 .